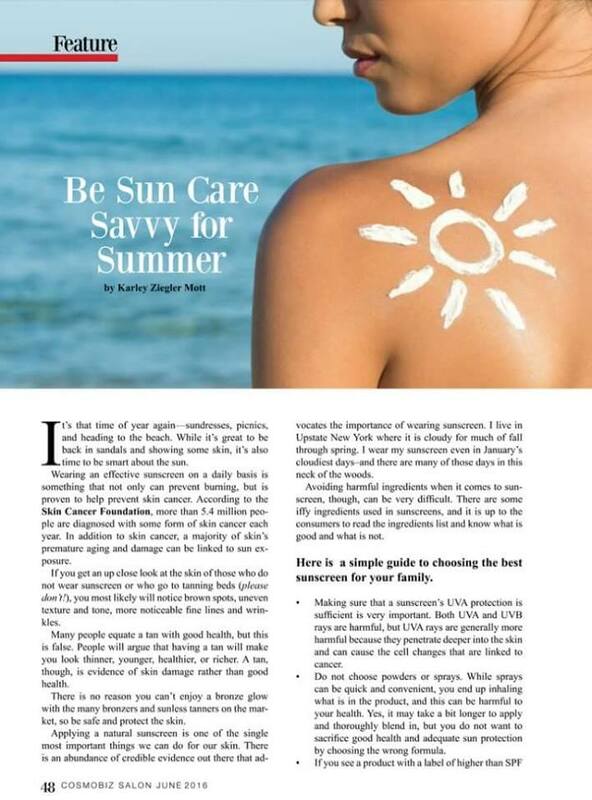 Safer Sunscreens: Why you may want to skip the EWG's "good list"
Let's talk about sun care today, why don't we? 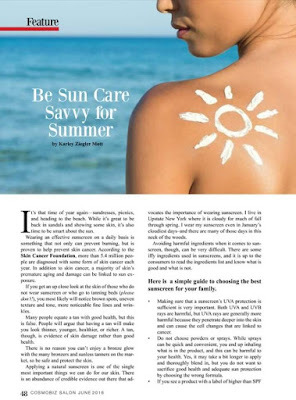 I have spent so much time over the past several years researching the science of sun care, especially the last 3-4 years of magazine writing. My work involves taking a look at studies -- not just the fear you will find circulating on the web. This guy, now almost 11, was covered in sunscreen at the beach. Making the "good list" is good for marketing. Nothing more. It does not mean that the sunscreen is effective. You see, I used to believe that to be ranked highly by the EWG was REALLY A GOOD THING -- that they tried and tested and evaluated the products, that they verified the ingredients, that they really investigated each product in their Skin Deep Database. The EWG's sunscreen list is truly meaningless. It is in no way based on credible science and the EWG does not even test the products it recommends, which is just ridiculous. I used to do PR for a direct sales "organic" skincare brand. They had a "safe" sunscreen made with "fresh spring water" and aloe vera juice and it had no broad spectrum preservative (yuck) . It was zinc oxide based. The product was really quite dangerous from the perspective of it being likely to quickly form mold, staph and other nasties. 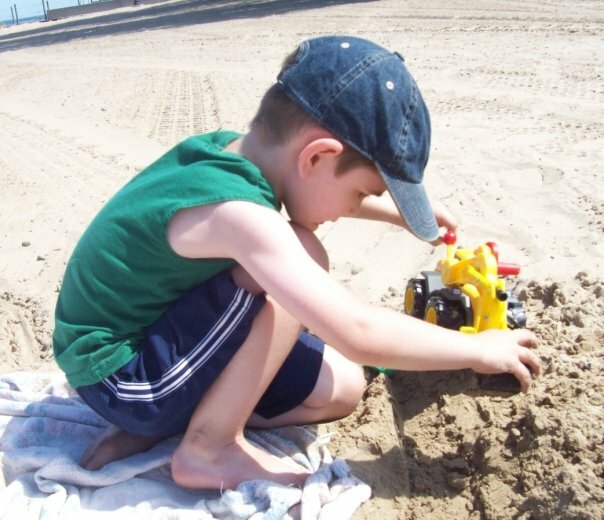 There are many similar products-- products that are not shelf stable, products that fail to truly offer adequate sun protection -- but the EWG doesn't seem to consider those little tidbits. Anyway, it was my job to get this product included in the annual sunscreen guide. To do so, a company ONLY needs to submit a photo of the ingredients label, usage instructions, and copy and paste ingredients label. Nothing more. No product samples. No supplier info. Nada. This particular product has now been recommended 4 years in a row by the EWG despite multiple customer complaints of it being ineffective- much like The Honest Co. fiasco. Sadly, scientific research has discredited most of the EWG's fear mongering. I am a huge proponent of healthier, better ingredients - but the EWG does shoppers a huge disservice. Now let's go back abut a decade to when I had my own skin care brand, KZM Facial Care Boutique. I made natural facial care products and sold them online via Etsy and in small boutiques. My line was Leaping Bunny Certified Cruelty Free, appeared in multiple newspapers, and was featured in Martha Stewart Whole Living. My skin care was in celeb swag bags at film festivals and I was SO PROUD that a stay at home mom with a passion for ingredients and a background in esthetics and makeup could have a successful, well-respected little business. I submitted my products to the EWG and thought they might like to try them before posting them on the website. No. No need. I was really stunned at the lack of oversight. And today, 7 years after closing my business and contacting them multiple times to make them aware, my company STILL SITS IN THE SKIN DEEP DATABASE. I told them immediately that I was closed. They kept individual products (which were scored 0-2 in terms of safety) up for more than 5 years! There is ZERO oversight. If you really believe there is someone personally checking each and every product, you're quite mistaken. But wait, are you saying that the typical Neutrogena and other brands are good for you? No. I am not saying that at all. You know after 9 years of reading this blog that ingredients are VERY important to me. I will not try or buy a product without studying the ingredients with a fine tooth comb. It is just important for me to say that natural isn't always better and synthetic isn't always the devil. 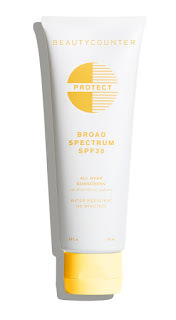 Beautycounter Protect All Over Sunscreen SPF 30 -- Excellent ingredients with a broad spectrum preservative! Tell Donna that The Beauty Blogger sent you on over. I am NOT afffiliated in anyway, but she is knowledgeable, caring and kind and will provide you with outstanding customer care. 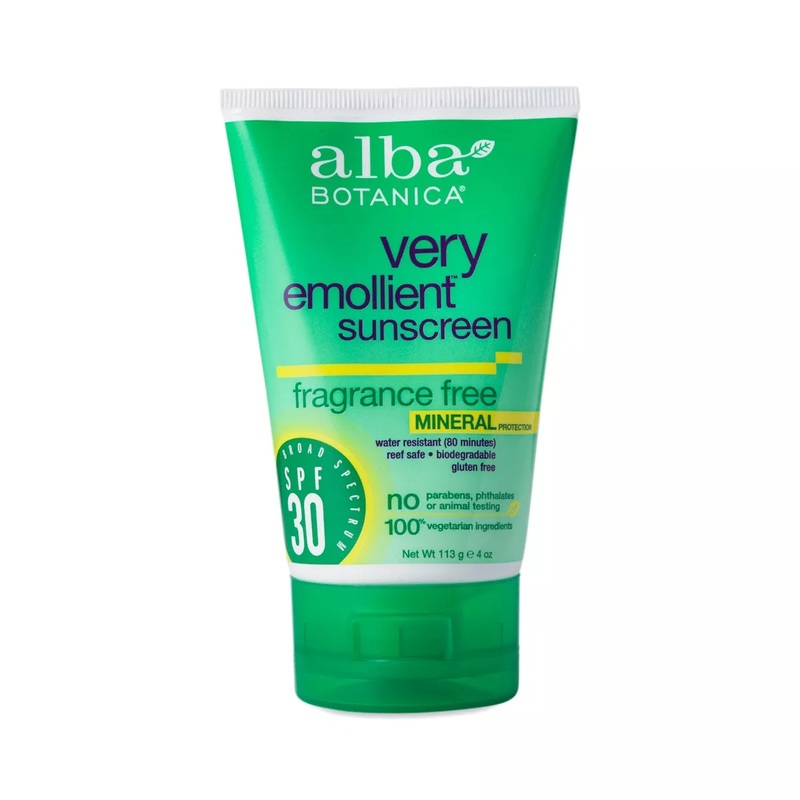 Alba Very Emollient Sunscren Fragrance Free SPF 30 -- I have used this on my boys for years and they have NOT gotten a sunburn. It is preserved properly and fragrance free. La Roche Posay Anthelios 50 Mineral Tinted Sunscreen -- GREAT for the face. 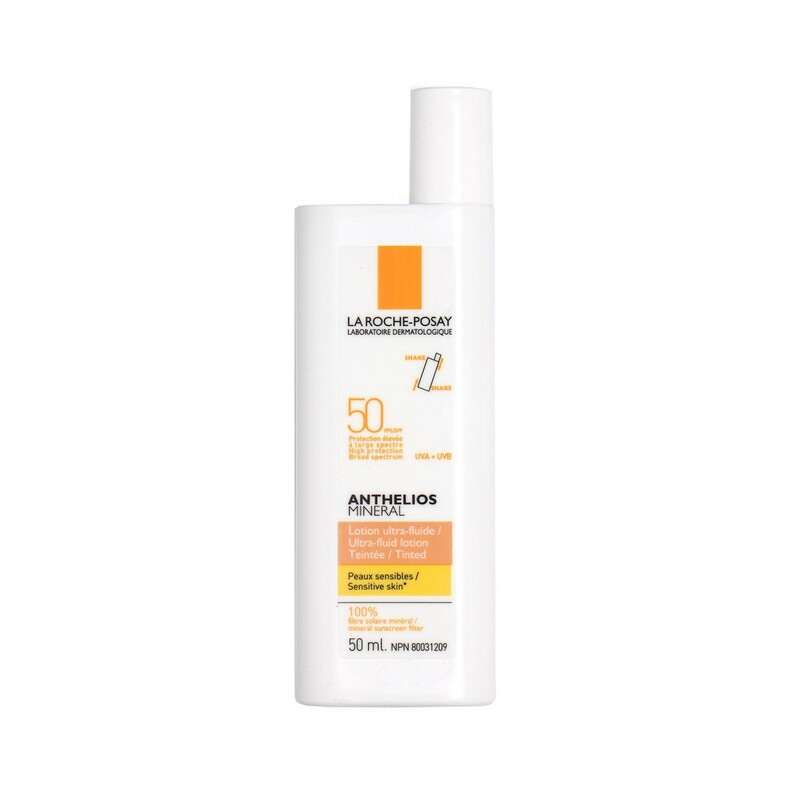 This has a slight tint and offers really solid sun protection. Paraben free and I have never experienced pore clogging from this one.